The first Foodie Friday of the new year and we had a lot of snow here in the northeast with which to welcome it. The folks have been out plowing streets and driveways all night and that put the word “ploughman” into my head. I know – different kind of plough (or “plow” as we spell it here in America). 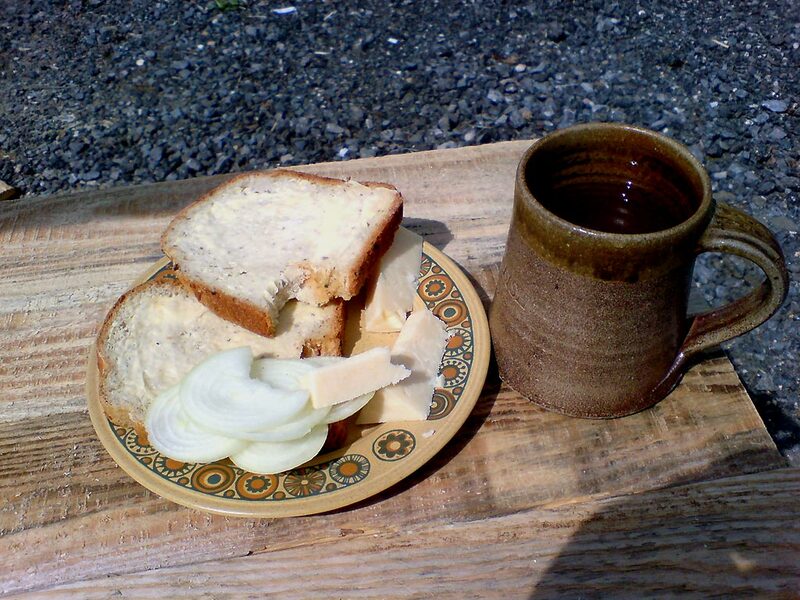 But it also brought a ploughman’s lunch to mind. For those of you unfamiliar with the term, it’s a meal one can order in a British pub consisting of bread, cheese, and beer (you knew I’d get to food eventually). I had always thought that this was some sort of traditional lunch that field workers had eaten for centuries. When those workers migrated from the fields to the cities, I assumed that they took their lunch with them and pubs served the food that people traditionally ate midday. As it turns out, that was what I was meant to believe by the British Cheese Bureau which created the lunch and marketed it following the second world war as a way to increase cheese sales. Pretty clever – create a feeling of nostalgia for a supposedly traditional meal in a time when the world was just betting back to “normal” following a decade of horror. Which of course is the business point today. History is constantly being rewritten to suit the purposes of the author. On a very minor scale, we do it every time we tweak our resumes. On a major scale, different people are given credit or blame for things that go very well or very badly. The past is changed to suit to present. Whether it’s work or play, one always needs to understand not just the author’s point of view but also their agenda. While the ploughman’s lunch didn’t taste any worse once I found out it was a marketing ploy, I kind of felt like Dorothy when the curtain fell and The Wizard was revealed. That’s a reminder as we start the new year – question everything (even me!). Look for facts from disinterested, multiple sources. That’s getting harder to do as journalism migrates from reporting to advocacy outside of business and it’s always been a challenge inside. Are you up to the task?